You've got questions and we've got answers! This is where we explain it all. What is a permitted, shared-use kitchen? A permitted shared-use kitchen is set up for commercial food production and is available to approved single or multiple users on an assigned schedule. ​up an Initial Consultation​. We'll discuss your business concept and needs, information, resources and connections you'll need specific to you business, requirements to become a participant business, the permitting/licensing process and a tour of our facility. I think I would like to start/expand a food business, but am not sure where to begin? We are happy to meet with those interested in starting/expanding a food business for an Initial Consultation, no matter what stage you are in and whether or not you are interested in becoming a Kitchen Local participant business. In fact, the earlier the better! We promise that you will walk away with a lot of great information regarding how to move forward, resources, and connections to help with your planning and decision making. What is required to become a Kitchen Local participant business? (1) In-person Initial Consultation; (2) Reviewed, initialed and signed Kitchen Local, LLC Operating Policies Handbook; (3) Reviewed, initialed and signed Kitchen Local, LLC Operating Agreement; (4) Compliance/Security Deposit; (5) Servsafe Food Manager’s Certificate; (6) Mass Allergen Certificate; (7) Certificate of Insurance showing a minimum of $1,000,000 occurrence and $2,000,000 aggregate, with Kitchen Local, LLC listed as an additional insured along with a Waiver of Subrogation. Once I become a Kitchen Local participant business, what do I need to have in place to be able to sell my food product(s)? Once you become an "approved" Kitchen Local, LLC participant business then you can submit your... (1) Food Service Permit Application specific to Kitchen Local to the Amesbury Board of Health; (2) Victualler’s License Application to the Amesbury City Clerk's Office; (3) If applicable, Wholesale Food Business License Application (if producing a food product for business to business resale in). * We guide you through the permitting/licensing process! When you have all of the above licenses/permits (as well as any others that may apply) you will be able to sell your product(s). When can I submit the required applications for permitting and licensure? 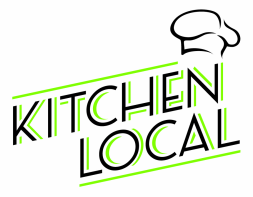 Once you become an "approved" Kitchen Local, LLC Participant Business and you have been provided with an Acceptance Letter from Kitchen Local, you may submit the necessary applications for licensure and permitting. Kitchen Local will provide you with the Food Service Permit Application specific to Kitchen Local and Common Victualler License Application. Any certifications, permits or licenses and insurance required by Kitchen Local, LLC, the Amesbury Board of Health, the City of Amesbury, the State of Massachusetts, New Hampshire, Maine (or any other state where such is applicable) or other regulatory agencies specific to your business need to be kept up-to-date and on file at Kitchen Local. What if I want to use the kitchen for a class, event or photography? If you are interested in using the facility for cooking classes, product development, team-building, or photography you may not need to be permitted. Please contact us to discuss your options. What fees are associated with use of the kitchen? Please see attached Rate Sheet. Can my children work with me in the kitchen? In accordance with State of Massachusetts Child Labor Laws, no one under the age of 14 is allowed to work in the kitchen. How do I make an appointment for an Initial Consultation to learn more launching or expanding my food business and about Kitchen Local and how it may fit my business needs? To meet with Kitchen Local, LLC management, please fill out and submit the Information Form and we will do our best to contact you within 48 hours to schedule an Initial Consultation. Am I required to store food ingredients and products on-site? regulatory agencies to be stored at the permitted kitchen facility where your business is permitted/licensed from purchase or delivery of ingredients until finished product is delivered or shipped to the customer. *Designated dry, cold and frozen storage is available to rent on a monthly basis.